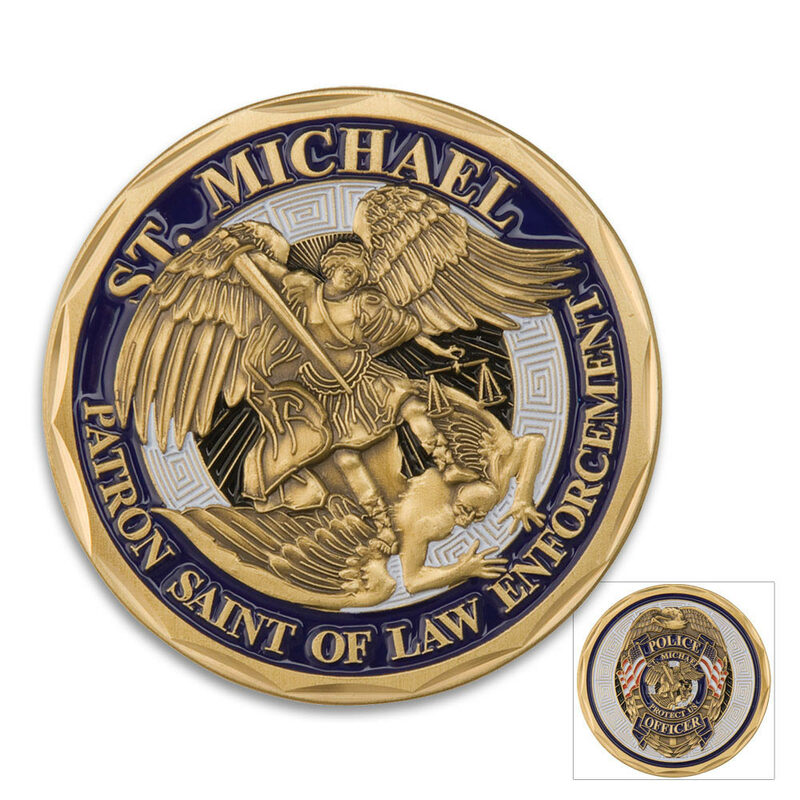 Carry your patron saint with you! This solid metal, authentic coin features a full color design of Saint Michael, the Patron Saint of Law Enforcement, on one side and a full color Police Officer emblem on the other side. 1 5/8 in. diameter.